With three teenagers in the house I’ve listened to a fair amount of talk about the plague of spots. At times the bathroom has resembled a chemist’s shop with endless tubes and jars, most of which were uncomfortably expensive, and all of which promised miracle cures within a few days. There were considerable expectations of benzoyl peroxide-based creams with which friends at school had experienced wondrous results, but it quickly became clear that my kids’ fair northern skins found this remedy unbearably harsh and the after effect was super-dry red-raw faces. Consequently I was relieved when Leeds Metropolitan University published the results of their herbal experiments last year. In a nutshell they discovered that thyme steeped in alcohol for several days produced better results than many remedies on the market, including benzoyl peroxide. (See http://www.leedsmet.ac.uk/about/thyme-for-a-more-natural-cure-to-acne27032012.htm ) Having plenty of thyme in the garden, and knowing that it likes nothing better than a harsh trim on occasion, I thought it was worth a try. There were two risks, first that I was descending too quickly down the slippery slope of Worzel Gummidge wackiness and would soon reach the point where in olden days I would have been burnt at the stake, and secondly that it wouldn’t work at all and so my teens would have additional reasons to view my horticultural exploits with scepticism and the odd guffaw of laughter. However, a small bottle of alcohol costs around a euro in the local supermarket, which was so much cheaper than the last shopping expedition to the chemist that the gamble seemed worth it. After washing the thyme I crushed it into a clean screw-top jar until it was full (Mercadona pasta sauce jars are perfect) and topped it up with alcohol. A day later the whole thing had turned a lurid shade of green. The following week teen-testing began. A year down the line all I can say is it certainly works as well as anything else. Our family isn’t blessed with great skin, but I have had no more requests to go chemist-shopping and the only additional expense has been cotton-buds with which to dab emerald ointment on the offending eruptions. As with the pulp in Aloe Vera leaves, which is fantastic for healing skin problems and especially burns, the colour is a drawback so it’s best to apply it at night. However, the thyme mixture smells a good deal better than Aloe Vera and is easier to keep at the ready in the bathroom. I forgot to dry the leaves of my lemon verbena (Hierba Luisa in Spanish) this winter, so it’s been a while since I’ve been able to enjoy a lovely cup of tea. 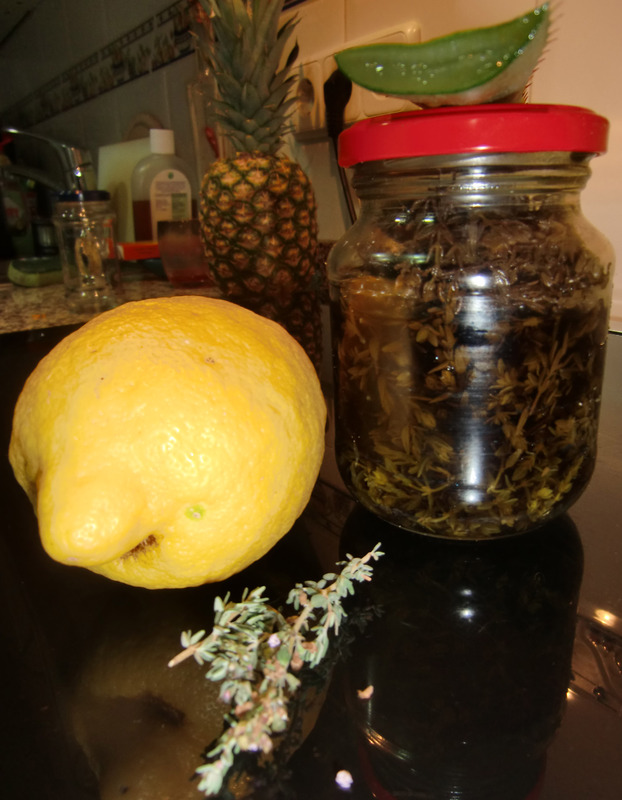 However, with the recent rains it has sprung to life and lemon verbena tea is back on the menu. 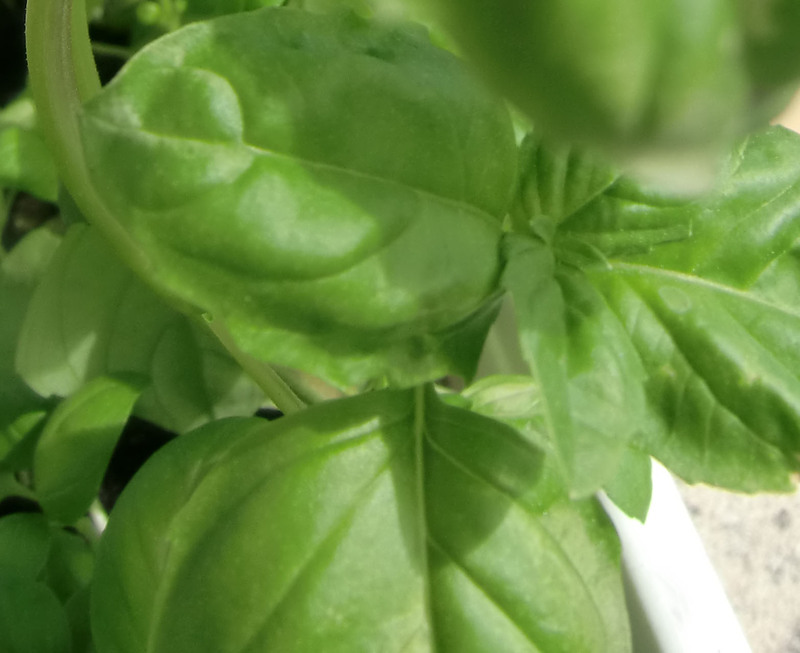 This is another plant that does very well in pots and can give a wonderful scent to your balcony for much of the year. Once established it can grow up to 3 metres in height. Don’t be shy of giving it a good prune when it becomes scraggly and making use of any cuttings or unwanted base shoots in the kitchen.